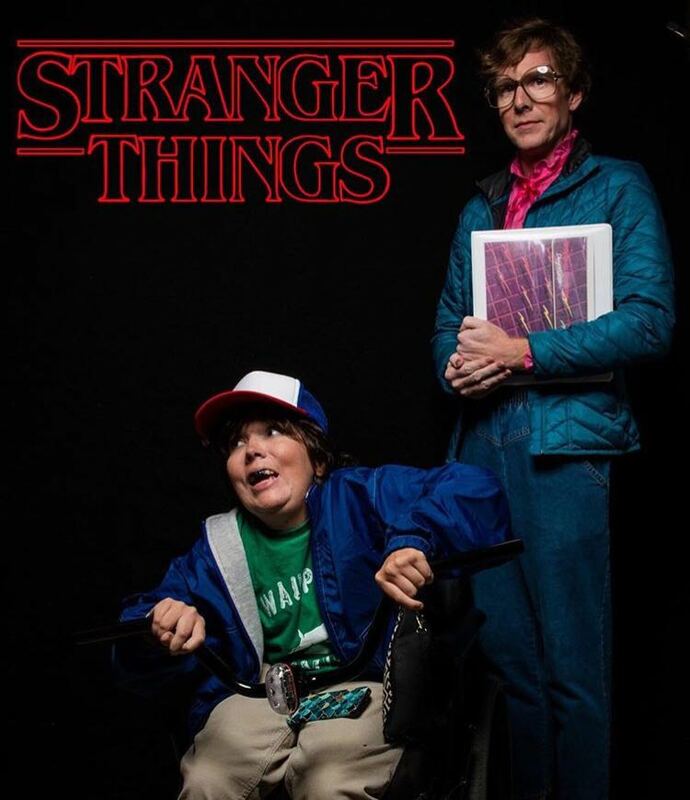 that girl in the wheelchair: Halloween costume 2016: Stranger Things have Happened. 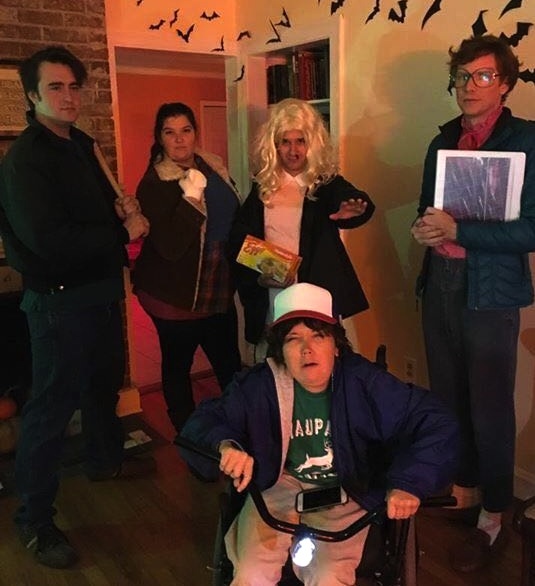 Halloween costume 2016: Stranger Things have Happened. 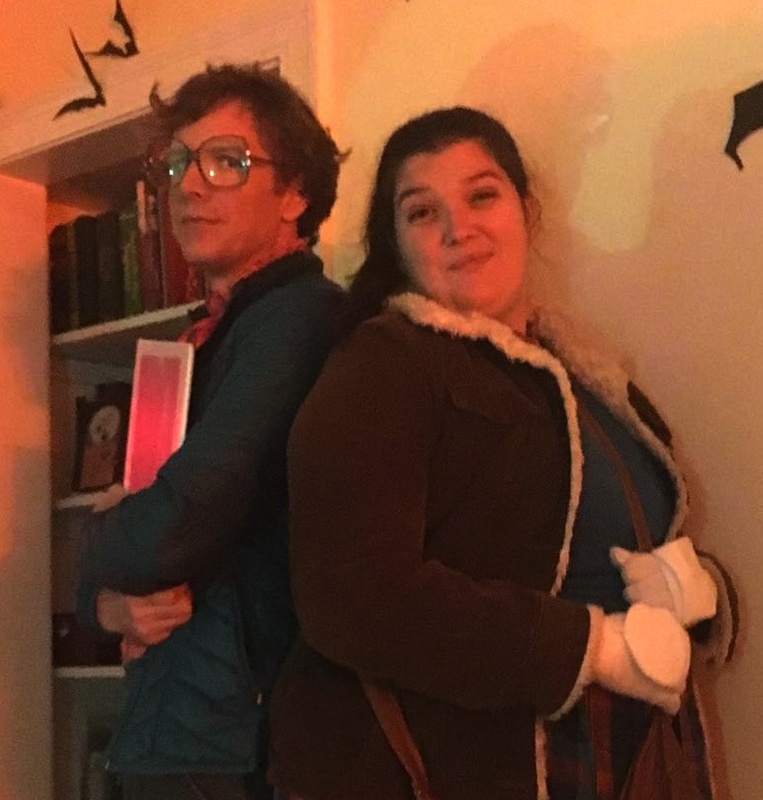 Our friends Bethany and Nathan also jumped on board as Steve and Nancy, which made us even locked in further to this costume concept. His costume came together incredibly easy. The weird mom jeans and loafers were from Goodwill. I found the PERFECT Barb shirt on Etsy in the Lovely Betsy shop after searching "vintage bow blouse pink" and those killer glasses were actually these reading glasses on Amazon. Because vintage trapper keepers sell for some unintelligible reason for nearly 100 bucks online, he cobbled one together out of a clear front binder and an print off of her actual trapper keeper from the show. 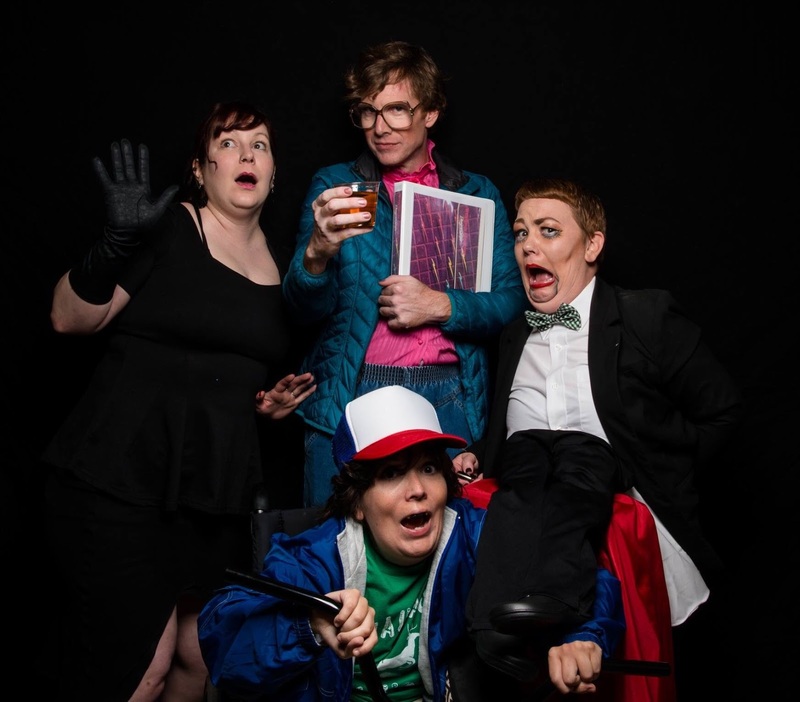 I cannot convey how much I use google image search. My mom did his hair after following the instruction, "Just do it like yours in the 80s." and I did his makeup, which just made me sad because I finally got confirmation on how long his eyelashes are, and how wasted they are on a redheaded man. As was the case the year that Kim and Kanye stole my mermaid thunder, another high profile lady and I had similar ideas. 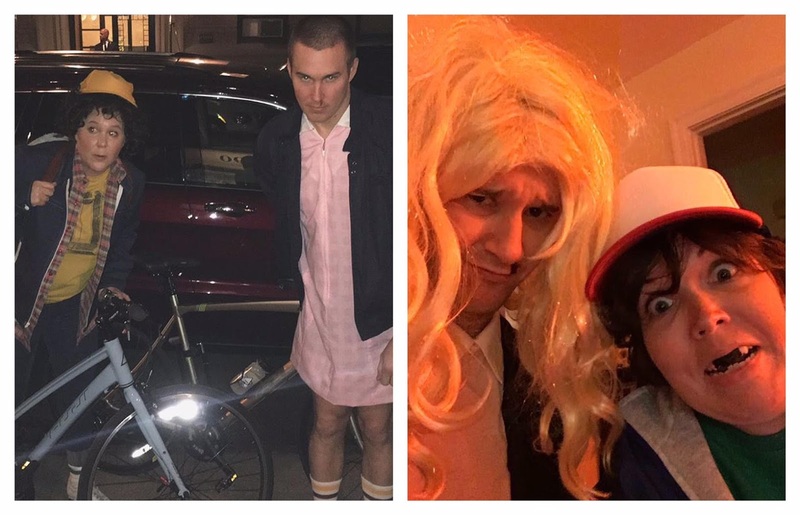 Because Stranger Things is so zeitgeisty right now, its no shock Amy Schumer also opted to be Dustin this year, creating a real "Who wore it Better" situation. 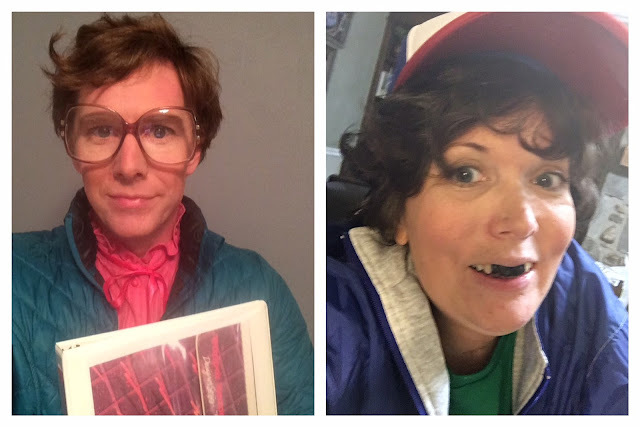 As is always the case, Halloween just reminded me how amazing and fun and creative the people I know are...and how hard I continuously have to step up my game to stay at that level. UGH! I love Halloween so hard! What were you...or do you have some semblance of dignity unlike this gal?